help and ideas from amazing young people — like you. Thank you for visiting Feeding Better Futures! The entry period has now closed. Please check back between May 1-15 to vote for one of our finalists. Today, 842 million people — nearly 12% of the world's population — struggle with hunger. That includes 13 million kids and teenagers in America and and 2.5 million Canadians who live without secure access to food. 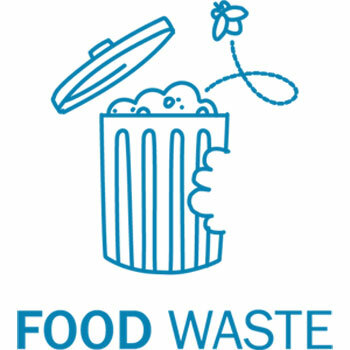 Currently 21% of all landfill volume is food waste. But if we were able to recover all of our wasted food, we could provide a 2,000-calorie diet to 84% of the U.S. population. By 2030, 40% of the population is projected to face absolute water shortfall. As world population grows to nine billion by 2050, the likelihood of living in a water-stressed region grows with it. 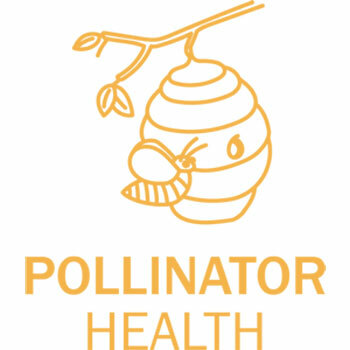 Pollinators help supply one-third of the food and beverages Americans consume, but many pollinator populations are in decline due to a loss of habitat, pollution and climate change. 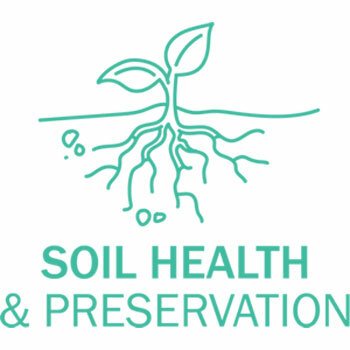 Healthy soils are the cornerstone of life, yet they are increasingly rare with less than 10% of U.S. soils managed optimally today. If you’re between the ages of 13-21 you can now submit your idea with a 2-3 minute video/photo and project summary. We're busy reviewing all your entries carefully. Stay tuned for the announcement of our 5 finalists. Rally your friends, family and classmates to vote online for their favorite solution. Our grand prize winner is announced. They'll receive $50,000, be introduced to their industry mentor and get busy prepping for Aspen Ideas Festival. NO PURCHASE NECESSARY TO ENTER OR WIN. A PURCHASE DOES NOT IMPROVE YOUR CHANCES OF WINNING. Contest may only be entered in or from the 50 United States, the District of Columbia and Canada (excluding the Province of Quebec) and entries originating from any other jurisdiction are not eligible for entry. This Contest is governed exclusively by the laws of the United States and Canada. You are not authorized to participate in the Contest if you are not located within the 50 United States (or the District of Columbia) or Canada (excluding the Province of Quebec). Where do you see your Project in 5 years? You can capture your Video at home or even onsite where your Project is taking place. You can capture your Photos at home or even onsite where your Project is taking place. Each Answer should be 150 words or less. All entry information, Projects, Videos or Photos and Answers (and any subsequent videos/photos, presentations and/or other materials submitted in connection with this Contest) shall be collectively referred to herein as the "Submissions" or each as a "Submission." Submissions must comply with the Guidelines and Restrictions defined below. Submission must be submitted by one (1) individual, as group entries are not permitted. Sponsor reserves the right to cancel or modify this Contest in the event an insufficient number of entries are received that meet the minimum judging criteria. Limit one (1) Submission per person/per email address. By entering, each entrant (or entrant's parent or legal guardian if such entrant is a minor in his/her jurisdiction of residence) warrants and represents the following with respect to his or her Submission: (a) entrant is the sole and exclusive owner of the Submission; (b) the Submission will not infringe on any rights of any third parties nor will it violate any applicable laws; and (c) any third parties appearing in the Submission, or their parent/legal guardian if a minor, have given entrant appropriate consent to be filmed or photographed and used as permitted herein. Sponsor reserves the right to request third party releases from any third party included in any Submission at any time. Failure to produce fully executed third party releases (if applicable) may result in disqualification of the Submission, in Sponsor's sole and absolute discretion. Providing a Submission constitutes entrant's consent (or entrant's parent or legal guardian's consent if a minor) to grant Sponsor a royalty-free, irrevocable, perpetual, non-exclusive license to use, reproduce, modify, publish, communicate to the public by telecommunication, make available, create derivative works from, edit and display such Submission in whole or in part, on a worldwide basis, and to incorporate it into other works, in any form, media or technology now known or later developed, including but not limited to on any and all Internet media, including Sponsor's web sites and properties and social networking sites (i.e., Facebook, YouTube, Twitter, Instagram, Pinterest, Snap etc. ), for any legal purpose whatsoever. Each entrant (or entrant's parent or legal guardian if a minor) agrees to execute any and all further documents as Sponsor may request to confirm, perfect or give full effect to the intent of these Official Rules, including without limitation recognizing the grant of rights to Sponsor. All entrants must have a valid email address. No automated entry devices and/or programs permitted. All entries, including Submissions, become the sole and exclusive property of the Sponsor and receipt of entries will not be acknowledged or returned. Sponsor is not responsible for lost, late, illegible, stolen, incomplete, invalid, unintelligible, postage-due, misdirected, technically corrupted or garbled entries, which will be disqualified, or for problems of any kind whether mechanical, human or electronic. Only fully completed entry forms are eligible. Proof of submission of a Submission will not be deemed to be proof of its receipt by Sponsor. 2. Start/End Dates: Contest entry period begins at 7:00:00 AM Eastern ("ET") on January 15, 2019 and ends at 11:59:59 PM ET on February 26, 2019 ("Contest Period"). 3. Eligibility: Participation open only to legal residents of the fifty (50) United States, the District of Columbia and Canada (excluding the Province of Quebec), who must be at least 13 years of age but no older than 21 years of age as of date of entry. Void outside of the 50 United States, the District of Columbia and Canada, and void in the Province of Quebec and where prohibited, taxed or restricted by law. Employees, officers and directors of General Mills, Inc. ("Sponsor"), and its parent companies, subsidiaries, affiliates, partners, advertising and promotion agencies, manufacturers or distributors of Contest materials and their immediate families (parents, children, siblings, spouse) or members of the same household (whether related or not) of such employees/officers/directors are not eligible to enter. You are not authorized to participate in the Contest if you are not located within the United States, the District of Columbia, or Canada (excluding the Province of Quebec). Subject to all applicable federal, state, provincial, territorial, municipal and local laws and regulations. 4. Submission Guidelines and Content Restrictions: By entering, each entrant (or entrant's parent or legal guardian if a minor) agrees that his or her Submission conforms to the Submission Guidelines and Content Restrictions as defined below (collectively, the "Guidelines and Restrictions") and that Sponsor, in its sole discretion, may remove any Submission and disqualify an entrant and/or Submission from the Contest if it believes, in its sole discretion, that the entrant's Submission fails to conform to these Guidelines and Restrictions. Video Submissions must be at least two (2) minutes in length but no longer than three (3) minutes in length. Photo Submissions must include one (1) to three (3) Photos. The Submission must be primarily in English. The Submission must not contain material that is unlawful, in violation of or contrary to the laws or regulations of the United States or Canada or of any jurisdiction where Submission is created. The Submission must be consistent with the image and values of Sponsor and be consistent with and satisfy the purpose of the Contest. Each entrant acknowledges that other entrants may have used ideas and/or concepts in their Submission that may be similar in idea or concept to what is included in entrant's Submission. Each entrant understands and agrees that he/she shall not have any claim against any other entrant or Sponsor arising out any such similarity or be entitled to any compensation because of any such similarity. Sponsor's decisions are final and binding in all matters relating to this Contest, including, but not limited to, interpretation and application of these Official Rules. By entering this Contest, each entrant (or his/her parent or legal guardian if such entrant is a minor) is deemed to have accepted these Official Rules and fully and unconditionally agree to be bound by these Official Rules and the decisions of the Sponsor and judges, which will be final and binding in all matters relating to the Contest. 5. 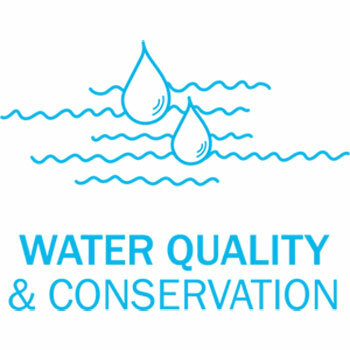 Finalist Selection: On or about March 9, 2019, all eligible Submissions will be judged by members of Sponsor's leadership panel ("Sponsor's Leadership Panel") based on the following equally-weighted judging criteria ("First Judging Criteria"): (a) Creativity of Submission; (b) Potential Impact on the Challenge; (c) Applicability to real world implications; and (d) Idea innovation. In the event of a tie, the highest score in the Potential Impact on the Challenge category will determine the Finalist (subject to confirmation). Three (3) Finalist Submissions will be selected (each a "Finalist") based on the First Judging Criteria and eligible for Grand Prize Voting Round (defined below). Potential Finalists will be notified via email on or about March 12, 2019. Potential Finalists must respond to Sponsor within five (5) calendar days of notification or their status as a Finalist may be forfeited and awarded to the Submission with the next highest score. All potential Finalists may be required to sign and return, where legal, an Affidavit or Declaration of Eligibility, Liability/Publicity Release and/or rights transfer document (collectively, "Affidavit/Release") within five (5) calendar days of notification of their Finalist status. If any potential Finalist is considered a minor in his/her jurisdiction of residence, Affidavit/Release must be signed by his/her parent or legal guardian. Potential Finalists will also be required to provide Sponsors with the contact information of their parent or legal guardian, if they are a minor in their jurisdiction of residence, or the contact information of their mentor, if they are the age of majority in their jurisdiction of residence. If any Finalist notification is returned as undeliverable, if any potential Finalist rejects his/her Finalist status or in the event of noncompliance with these Official Rules or any other requirements as may be stipulated by Sponsor, Finalist's status will be forfeited and may be awarded to the Submission with the next highest score. 6. Grand Prize Voting Round: Each Finalist will be eligible for the Grand Prize Voting Round. During the Grand Prize Voting Round, each Finalist's Grand Prize Voting score will consist of 25% Public and Sponsor Employee Voting, and 75% Judging Panel Voting in accordance with the following terms: Each Finalist will have the ability to earn a total of 100 points ("Points") based on: (i) 25% Public and Sponsor Employee Voting Score; (ii) 25% Impact of Project Judging Panel Score; (iii) 25% Strength of Presentation in video/photo Judging Panel Score; and (iv) 25% Creativity Judging Panel Score. The Finalist who receives the highest score in the voting category ("Category") will receive 25 Points; the Finalist who receives the second highest score in the Category will receive 15 Points; and the Finalist who receives the third highest in the Category will receive 10 Points. The Finalist with the highest combined Public and Sponsor Employee Voting (25%) score and Judging Panel Voting (75%) score will be deemed to be the Grand Prize winner of the Contest (subject to confirmation). Grand Prize Public and Sponsor Employee Voting (25%): The Five (5) Finalist Submissions will be posted on Sponsor's Site to be voted on by the public during the public voting period ("Public Voting Period"), which begins on May 1, 2018 at 7:00:00 AM ET and ends on May 15, 2018 at 11:59:59 PM ET (the "Public Voting Period"). Voters can vote for a Submission by voting for a Finalist Submission based on the following public voting criteria: (a) Innovation of idea and (b) Potential Impact on feeding the world. Limit one (1) vote for per person per day throughout the Public Voting Period. Multiple voters are not permitted to share the same account or email address. Any attempt by any voter to submit more than the stated number of votes by using multiple/different email addresses, identities or any other method will void that voter's vote. The use of robotic or automatic devices for voting is prohibited, and Sponsor reserves the right to nullify any and all such votes and to disqualify from voting the responsible individual. Entrants are prohibited from obtaining votes by any fraudulent or inappropriate means, including engaging in vote-farming or vote-exchanges or offering prizes or other inducements to members of public, as determined by Sponsor, in its sole discretion and Sponsor reserves the right to nullify any and all such votes and to disqualify from Contest the responsible entrant. A Finalist's Grand Prize Public Voting score will count 25% to his or her total Grand Prize score. Public Voting: The Three (3) Finalist Submissions will be posted on Sponsor's Site to be voted on by the public during the public voting period ("Public Voting Period"), which begins on April 29, 2019 at 7:00:00 AM ET and ends on May 13, 2019 at 11:59:59 PM ET (the "Public Voting Period"). 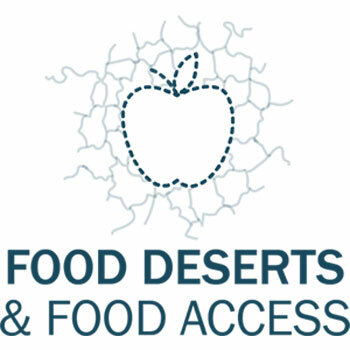 Voters can vote for a Finalist Submission based on the following public voting criteria: (a) Innovation of idea and (b) Potential Impact on feeding the world. Limit one (1) vote per person per day (based on a ET calendar day) throughout the Public Voting Period. Multiple voters are not permitted to share the same account or email address. Any attempt by any voter to submit more than the stated number of votes by using multiple/different email addresses, identities or any other method will void that voter's vote. The use of robotic or automatic devices for voting is prohibited, and Sponsor reserves the right to nullify any and all such votes and to disqualify from voting the responsible individual. Entrants are prohibited from obtaining votes by any fraudulent or inappropriate means, including engaging in vote-farming or vote-exchanges or offering prizes or other inducements to members of public, as determined by Sponsor, in its sole discretion and Sponsor reserves the right to nullify any and all such votes and to disqualify from Contest the responsible (either directly or indirectly) entrant. Sponsor Employee Voting: During Finalists' trip to Minneapolis, Minnesota, each Finalist will host a booth in the headquarters café where Finalists can meet with Sponsor's employees who can vote on Finalists' Submissions. Sponsor Employees can vote for a Submission by voting for a Finalist Submission based on the following Sponsor employee voting criteria: (a) Innovation of idea and (b) Potential Impact on feeding the world. Limit one (1) vote per person. The Finalist with the highest number of Grand Prize Public and Sponsor Employee votes will receive 25 Points; the Finalist with the second highest number of Grand Prize Public and Sponsor Employee votes will receive 15 Points; and the Finalist with the third highest number of Grand Prize Public and Sponsor Employee votes will receive 10 Points. Each Finalist's Grand Prize Public and Sponsor Employee Voting score will count for 25% towards his or her total Grand Prize score. Grand Prize Judging Panel (75%): During Finalists' trip to Sponsor's headquarters in Minneapolis, Minnesota, Finalists will pitch their Submissions (each a "Pitch") to Sponsor's Leadership Panel, which will consist of executives at General Mills. On or about May 15, 2019, the three (3) Finalist Submissions will be judged by Sponsor's Leadership Panel. Each Finalist will have fifteen (15) minutes to Pitch their Submissions to Sponsor's Leadership Panel. All Finalist Submissions will be judged based on the following equally-weighted Judging Panel judging criteria ("Second Judging Criteria"): (a) Impact of Project (25%); (ii) Strength of Presentation in video/photo (25%); and (iii) Creativity (25%), with each Category being worth up to 25 Points. The Finalist with the highest score in each Category will receive 25 Points; the Finalist with the second highest score in each Category will receive 15 Points; and the Finalist with the third highest score in each Category will receive 10 Points. A Finalist's Grand Prize Judging Panel score will count 75% to his or her total Grand Prize score. In the event of a tie, the Finalist who scored highest in the Impact of Project Judging Panel Category will determine the Grand Prize winner. Shortly after the end of the Finalist's Pitches, Sponsor will announce the Grand Prize winner of the Contest (subject to confirmation) and the remaining two (2) Finalists will be deemed the Runner-up winners. Each Finalist will be provided a one (1) night/two (2) day trip for two people (i.e., Finalist and guest) to Minneapolis, Minnesota. Trip includes round-trip coach airfare from major gateway airport nearest winner's residence and double occupancy hotel accommodations. Taxes, meals, gratuities, travel upgrades, or any other expenses not specifically listed herein responsibility of the Finalists. Travel and accommodations subject to availability; certain restrictions and blackout dates may apply. Finalists must travel between May 14, 2019 and May 16, 2019 or Finalist's status will be forfeited and may be awarded to an alternate. If Finalist is considered a minor in his/her jurisdiction of residence, guest must be Finalist's parent or legal guardian. Finalist and guest must travel on the same itinerary and guest must sign travel release prior to ticketing. Travel companion must be at least 21 years old. Sponsor is not liable for delays, cancellation or unforeseen events related to the flights. Finalist and guest will be solely responsible for obtaining valid identification and any further required documentation (including without limitation a valid passport in respect of any Canadian Finalist) relating to acceptance and use of the travel packages. If in the judgment of Sponsor, air travel is not required due to Finalist's proximity to prize location, ground transportation will be substituted for roundtrip air travel at Sponsor's sole discretion. Sponsor will not replace any lost, mutilated, or stolen tickets, travel vouchers or certificates. Approximate Retail Value of each Finalist trip prize: $2,000USD/$2,680CDN, but actual value may vary depending on air flight fluctuations and distance between departure and destination. Finalists will not receive difference between actual and approximate retail value. One (1) Grand Prize: One (1) Grand Prize winner will receive fifty thousand dollars ($50,000) (U.S.) in the form of a check to further his or her idea or project or to further his or her education. Approximate Retail Value ("ARV") of Grand Prize: $50,000 (U.S.)/$ 65,602.50CDN. The Grand Prize winner will also receive a two (2) night/ three (3) day trip for two people (i.e., Grand Prize winner and guest) to Aspen, Colorado for the Aspen Ideas Festival. Trip includes round-trip coach airfare from major gateway airport nearest winner's residence, double occupancy hotel accommodations, and two (2) passes to the Aspen Ideas Festival ("Festival"). Taxes, meals, gratuities, travel upgrades, or any other expenses not specifically listed herein responsibility of the Grand Prize winner. Travel, accommodations, and Festival passes subject to availability; certain restrictions and blackout dates may apply. Grand Prize winner must travel between June 23, 2019 and June 29, 2019. If Grand Prize winner is considered a minor in his/her jurisdiction of residence, guest must be Grand Prize winner's parent or legal guardian. Grand Prize winner and guest must travel on the same itinerary and guest must sign travel release prior to ticketing. Travel companion must be at least 21 years old. Sponsor is not liable for delays, cancellation or unforeseen events related to the flights. Grand Prize winner and guest will be solely responsible for obtaining valid identification and any further required documentation (including without limitation a valid passport in respect of any Canadian Finalist) relating to acceptance and use of the travel packages. If in the judgment of Sponsor, air travel is not required due to Grand Prize winner's proximity to prize location, ground transportation will be substituted for roundtrip air travel at Sponsor's sole discretion. Sponsor will not replace any lost, mutilated, or stolen tickets, travel vouchers or certificates. Approximate Retail Value of the Grand Prize winner Aspen trip prize: $4,000 USD/$5,360CDN, but actual value may vary depending on air flight fluctuations and distance between departure and destination. Grand Prize winner will not receive difference between actual and approximate retail value. Two (2) Runner-up Prizes: Each Runner-up winner will receive ten thousand dollars ($10,000) (U.S.) in the form of a check to further his or her idea or project or to further his or her own education. ARV of each Finalist Prize: $10,000 (U.S.)/$13,120.50CDN. As a condition of accepting and/or being considered for the Grand Prize or a Runner-up's Prize, each potential winner (and his or her parent or legal guardian if a minor) may be required to travel to and participate in certain media days and events at places, dates and times to be determined by Sponsor in its sole and absolute discretion. If any media days or events are scheduled, as determined by Sponsor in its sole and absolute discretion, they would tentatively be scheduled to take place between June 1, 2019 and June 15, 2019. Travel to any media days or events to be provided and arranged by Sponsor in its sole and absolute discretion. Winners and their guests (if any) are solely responsible for obtaining valid passports and any other documents necessary for travel out of their country (if applicable). Total ARV of all prizes combined: $80,000 (U.S.)/$ 105,812.00CDN. Prizes are non-transferable. No substitutions or cash redemptions. In the case of unavailability of any prize, Sponsor reserves the right to substitute a prize of equal or greater value. All unspecified expenses are the responsibility of winners. Limit one (1) Grand Prize and one (1) Runner-Up Prize per person. Tax Gross-Up Payment: In addition to the prize awarded to the Grand Prize and Runner-up Prize winners, the Grand Prize and Runner-up Prize winners will also receive a single cash payment in the form of a corporate check which is intended to assist with any federal, state/provincial, or other tax obligations related to the Grand Prize and the Runner-up Prizes (the "Tax Gross-Up Payment"). The amount of Tax Gross-Up Payment will be computed based upon the actual retail value of the applicable prize and assuming that the Grand Prize and Runner-up winner's combined tax rate for all federal, state, and other tax obligations related to such prize is 33%. The Tax Gross-Up Payment is intended to assist with any federal, state/provincial, or other tax obligations related to the applicable prize. The Tax Gross-Up Payment may not be sufficient to cover a winner's entire tax liability related to winning the applicable prize. Sponsor will comply with all tax reporting requirements, including a Form 1099-MISC issued to the winners, if applicable. 7. Notification: Potential Grand Prize and Runner-up winners (collectively, "winners") will be announced on or about May 16, 2019 at the end of the Grand Prize Judging Panel. All potential winners may be required to sign and return, where legal, an Affidavit or Declaration of Eligibility, Liability/Publicity Release and/or rights transfer document (collectively, "Affidavit/Release") at the time of announcement or within five (5) days of prize announcement. If any potential winner is considered a minor in his/her jurisdiction of residence, Affidavit/Release must be signed by his/her parent or legal guardian. Additionally, potential winners may be required to submit releases from any and all third parties appearing in their respective Submissions. If any potential winner rejects his/her prize or in the event of noncompliance with these Contest rules and requirements, such prize will be forfeited. Upon prize forfeiture, no compensation will be given. 8. Conditions. Submissions may be cut, edited, reformatted, rearranged, combined with other materials and/or otherwise modified, in Sponsor's sole and absolute discretion. Any and all federal, state, provincial, municipal and local taxes are the sole responsibility of the winners. Participation in Contest and/or acceptance of prize constitutes each winner's permission (or winner's parent or legal guardian's permission if a minor) for Sponsor to use his/her name, address (city and state or province/territory), likeness, photograph, picture, portrait, voice, biographical information, Submission and/or any statements made by each winner regarding the Contest or Sponsor for advertising and promotional purposes without notice or additional compensation, except where prohibited by law. By participating, entrants and winners (as well as their parents or legal guardians if a minor) agree to release and hold harmless Sponsor and their advertising and promotion agencies and their respective parent companies, subsidiaries, affiliates, partners, representatives, agents, successors, assigns, employees, officers and directors (collectively, "Released Entities"), from any and all liability, for loss, harm, damage, injury, cost or expense whatsoever including without limitation, property damage, personal injury and/or death which may occur in connection with, preparation for, travel to, or participation in Contest, or possession, acceptance and/or use or misuse of prize or participation in any Contest-related activity and for any claims based on publicity rights, defamation, invasion of privacy, copyright infringement, trademark infringement or any other intellectual property-related cause of action. Entrants who do not comply with these Official Rules, or attempt to interfere with this Contest in any way shall be disqualified. Sponsor is not responsible if Contest cannot take place or if any prize cannot be awarded due to travel cancellations, delays or interruptions due to acts of God, acts of war, natural disasters, weather or acts of terrorism. 9. Additional Terms. Any attempted form of entry other than as set forth in Section 1 above is prohibited; no automatic, programmed; robotic or similar means of entry are permitted. Released Entities are not responsible for technical, hardware, software, telephone or other communications malfunctions, errors or failures of any kind, lost or unavailable network connections, web site, Internet, or ISP availability, unauthorized human intervention, traffic congestion, incomplete or inaccurate capture of entry information (regardless of cause) or failed, incomplete, garbled, jumbled or delayed computer transmissions which may limit one's ability to enter the Contest, including any injury or damage to participant's or any other person's computer relating to or resulting from participating in this Contest or downloading any materials in this Contest. Sponsor reserves the right, in its sole discretion, to cancel, terminate, modify, extend or suspend this Contest should (in its sole discretion) virus, bugs, non-authorized human intervention, fraud or other causes beyond its control corrupt or affect the administration, security, fairness or proper conduct of the Contest. In such case, Sponsor will select the winners from all eligible entries received prior to and/or after (if appropriate) the action taken by Sponsor. Sponsor reserves the right, at its sole discretion, to disqualify any individual it finds, in its sole discretion, to be tampering with the entry process or the operation of the Contest or web site. Sponsor may prohibit an entrant from participating in the Contest or winning a prize if, in its sole discretion, it determines that said entrant is attempting to undermine the legitimate operation of the Contest by cheating, hacking, deception, or other unfair playing practices (including the use of automated quick entry programs) or intending to annoy, abuse, threaten or harass any other entrants or Sponsor representatives. CAUTION: ANY ATTEMPT BY AN ENTRANT TO DELIBERATELY DAMAGE ANY WEB SITE OR UNDERMINE THE LEGITIMATE OPERATION OF THE CONTEST MAY BE A VIOLATION OF CRIMINAL AND CIVIL LAWS AND SHOULD SUCH AN ATTEMPT BE MADE, THE SPONSOR RESERVES THE RIGHT TO SEEK DAMAGES FROM ANY SUCH PERSON TO THE FULLEST EXTENT PERMITTED BY LAW. In the event of a dispute as to any Submission, the authorized account holder of the email address used to register will be deemed to be the entrant and must comply with these Official Rules. The "authorized account holder" is the natural person assigned an email address by an Internet access provider, online service provider or other organization responsible for assigning email addresses for the domain associated with the submitted address. Each entrant may be required to show proof of being an authorized account holder. IN NO EVENT WILL THE RELEASED ENTITIES BE RESPONSIBLE OR LIABLE FOR ANY DAMAGES OR LOSSES OF ANY KIND, INCLUDING DIRECT, INDIRECT, INCIDENTAL, CONSEQUENTIAL OR PUNITIVE DAMAGES ARISING OUT OF YOUR ACCESS TO AND USE OF THE SITE, AND/OR DOWNLOADING FROM AND/OR PRINTING MATERIAL DOWNLOADED FROM ANY WEBSITES ASSOCIATED WITH THE CONTEST. WITHOUT LIMITING THE FOREGOING, THIS CONTEST AND ALL PRIZES ARE PROVIDED "AS IS" WITHOUT WARRANTY OF ANY KIND, EITHER EXPRESS OR IMPLIED, INCLUDING BUT NOT LIMITED TO, THE IMPLIED WARRANTIES OF MERCHANTABILITY, FITNESS FOR A PARTICULAR PURPOSE OR NON-INFRINGEMENT. SOME JURISDICTIONS MAY NOT ALLOW THE LIMITATIONS OR EXCLUSION OF LIABILITY FOR INCIDENTAL OR CONSEQUENTIAL DAMAGES OR EXCLUSION OF IMPLIED WARRANTIES SO SOME OF THE ABOVE LIMITATIONS OR EXCLUSIONS MAY NOT APPLY TO YOU. CHECK YOUR LOCAL LAWS FOR ANY RESTRICTIONS OR LIMITATIONS REGARDING THESE LIMITATIONS OR EXCLUSIONS. Except where prohibited by law, the parties waive all rights to trial in any action or proceeding instituted in connection with these Official Rules, including, without limitation, the Contest. Except where prohibited by law, any controversy or claim arising out of or relating to these Official Rules and/or the Contest shall be settled by binding arbitration in accordance with the commercial arbitration rules of the American Arbitration Association. Any such controversy or claim shall be arbitrated on an individual basis, and shall not be consolidated in any arbitration with any claim or controversy of any other party. The arbitration shall be conducted in the State of New York, City of New York. THESE OFFICIAL RULES AND THE INTERPRETATION OF ITS TERMS SHALL BE GOVERNED BY AND CONSTRUED IN ACCORDANCE WITH THE LAWS OF THE STATE OF NEW YORK, UNITED STATES WITHOUT REGARD TO ITS CONFLICTS OF LAWS RULES. For any matters which are not subject to arbitration as set forth in these Official Rules and/or in connection with the entering of any judgment on an arbitration award in connection with these Official Rules and/or the Contest, the parties irrevocably submit and consent to the exclusive jurisdiction and venue of the state and federal courts located in or closest to the County of New York in the State of New York. The parties agree not to raise the defense of forum non conveniens. 13. 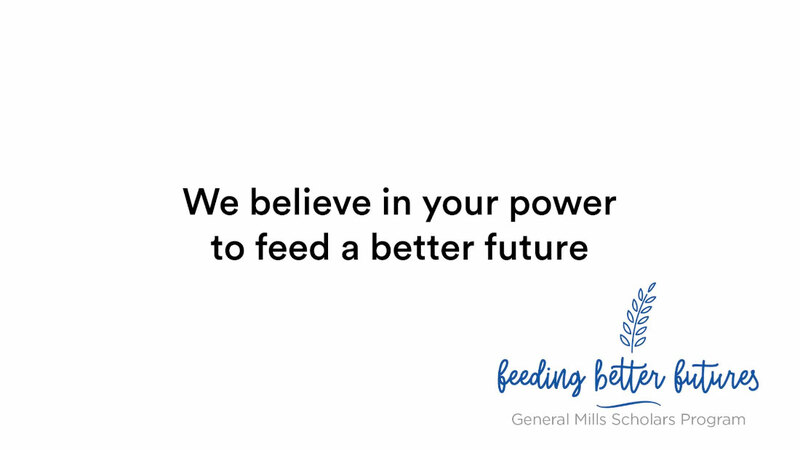 List of Winners: To obtain a list of winners, send a self-addressed, stamped envelope by August 30, 2019 to: Feeding Better Futures, General Mills, 1 General Mills Blvd, Golden Valley, MN 55426. Canadians may omit return postage. 14. Sponsor: General Mills, Inc., 1 General Mills Blvd, Golden Valley, MN 55426.